Is Saudi Arabia’s Vision 2030 Reform Plan Faltering—or Succeeding? 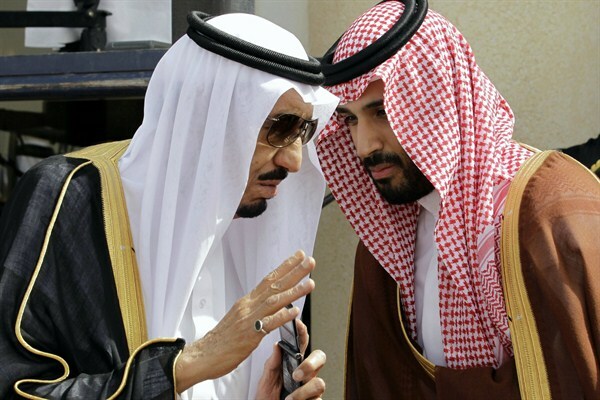 King Salman of Saudi Arabia and Deputy Crown Prince Mohammed bin Salman ahead of the opening of a Gulf Cooperation Council summit, Riyadh, Saudi Arabia, May 14, 2012 (AP photo by Hassan Ammar). One of the most dramatic socio-economic experiments in the world is unfolding in Saudi Arabia, where exactly one year ago, a young prince launched an ambitious plan to transform his conservative, oil-rich kingdom. The reform program, named Vision 2030, seeks to wean the country from its near-total reliance on oil revenue and government largesse, turning it into one that is more balanced, more modern and more sustainable by the year 2030.